Adding throws and cushions to your living spaces adds texture and comfort, not to mention they are easy to change-up with the seasons. Texture is important when building a room because it adds homely ‘layers’ and movement. It’s also an interesting way to keep the colour palette flowing throughout, without making it too uniform. Cushions and throws are the perfect way to add interest and finish off your living spaces all year round. 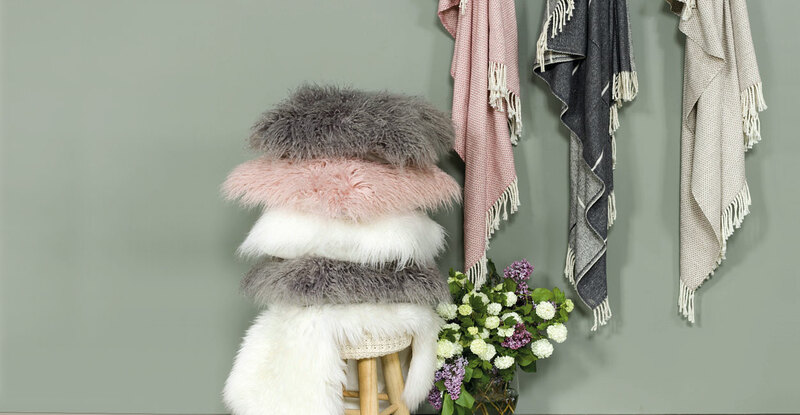 Opt for heavier fabrics and darker colours during the autumn/winter months and switch your décor for spring/summer with lighter fabrics and paler shades.